The Oculus Rift has been used to transport people everywhere from Jerry Seinfeld’s fictional apartment to another human’s body, and over the weekend, one developer began taking gamers someplace even a bit further from reality: to the bridge of Star Trek: Voyager‘s famous ship. 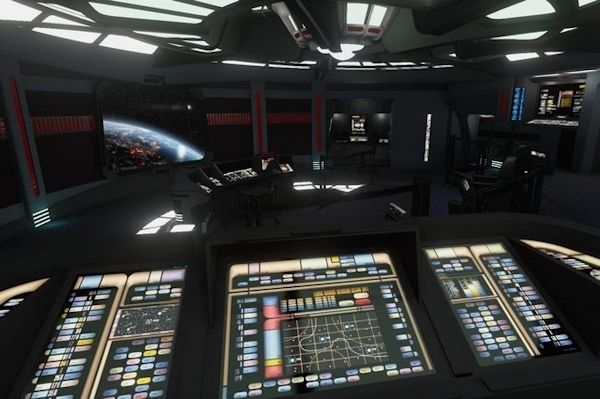 The new virtual reality demo lets you walk around a fairly accurate recreation of the Voyager’s bridge and even allows you to stare out into space as you whiz past distant stars. You’ll be exploring the ship alone, however — unfortunately, no familiar crew members will be around for you to bump into, though you may just hear their voices off-screen.